The ‘Get to Know Me’ resources aim to support children, along with those around them, who may have additional/special educational needs. They are designed to empower the professionals and adults who support those with identified needs, and encourage empathy and understanding. 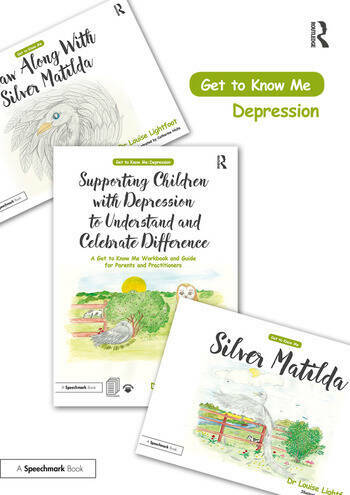 Developed by child psychologist Louise Lightfoot, the Guidebook, Picture book and Draw-along book in this three-part set will help key adults support children with depression. Practical guidance, tools and strategies are supported by a narrative picture book and a draw-along version, which explore the thoughts, feelings and sensations experienced by many children with depression.